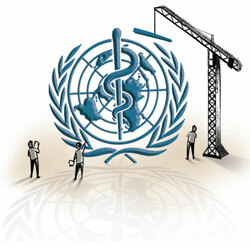 Six years ago, the World Health Organization (WHO) adopted a Strategy and Plan of Action on Public Health, Innovation and Intellectual Property (IP), or GSPA as it is known, to “foster innovation and improve access for people in developing countries”. At its executive board meeting that ended on February 3, the board recommended extension of GSPA until 2022. This followed the proposal moved by Argentina, Brazil, Ecuador, India and South Africa that the World Health Assembly extendGSPA that expires in 2015. The question is whether this strategy has worked at all. But first, something about GSPA which has eight elements, most of which are about prioritising research and development needs and promoting innovative capacity along with transfer of technology. Underlying this is the management of IP to push innovation in a way that it promotes public health by developing new healthcare products. The stark reality driving GSPA was the fact that of the 4.8 billion people living in developing countries, 43 per cent live on less than US $2 daily. Since it was impractical to expect purely market-driven research to target diseases which disproportionately affect these people, it was decided that WHO should be the lynchpin of the strategy by mediating the relationship between public health, innovation and IP. But six years down the line, it is amply clear that WHO and developing countries have not made much progress on GSPA. This failure came through most dramatically during the recent Ebola virus crisis, compelling WHO director-general Margaret Chan to make some uncharacteristically scathing observations. At a November meeting in Africa on steps to tackle the spread of the virus, which has been characterised as the most worrying global public health emergency, Chan passed severe strictures on the pharmaceutical industry. She said the reason why clinicians were “empty-handed” was because “a profit-driven industry does not invest in products for markets that cannot pay”, and that crisis underlined a long-standing WHO complaint about the lack of investment in drug R&D and the poor focus on healthcare systems of developing nations. But here comes the rub. While countries such as India, Brazil and South Africa would like to pursue the line that the Doha Declaration of World Trade Organization on Trade-Related Aspects of Intellectual Property Rights (TRIPS) “does not and should not prevent members from taking measures to protect public health”, this does not find general acceptance within WHO. Nor do issues such as their emphasis on WHOtaking a “leadership role” on the research agenda. Reports from Geneva on the board meeting spoke of the (usual) friction on the issue of countries using TRIPS flexibilities. Brazil had proposed the inclusion of this crucial safeguard during the meetings which kicked off on January 26, according to sources, but was apparently prevented by developed countries. The consensus was that the reference to GSPA was adequate since it talks of TRIPS flexibilities. According to a statement issued by the humanitarian agency Médecins Sans Frontières, which has also sought extension of GSPA to 2022, there are urgent and compelling reasons for doing so. For one, it cites the increasing failures of the current system of R&D, whether with respect to Ebola, antibiotic resistance or a range of neglected diseases. Instead of considering new R&D approaches, “some governments, pushed by multinational pharmaceutical companies, are instead seeking to increase IP protection worldwide, which will only deepen the challenges,” it warns. But what can WHO do given its dependence on voluntary donations? Since most donations are for specific projects, there are limitations on what the UN agency can do when it has little control over the budget. With such constraints an extended GSPA may not make much headway. Health Innovation has bring tremendous changes in the lifestyle of a patient. The continuous efforts of scientist has made the dream true to live long better with any health condition. Emerging innovations in the delivery of health care to patients provide insights on how to tackle its increasing cost, particularly in developing countries.